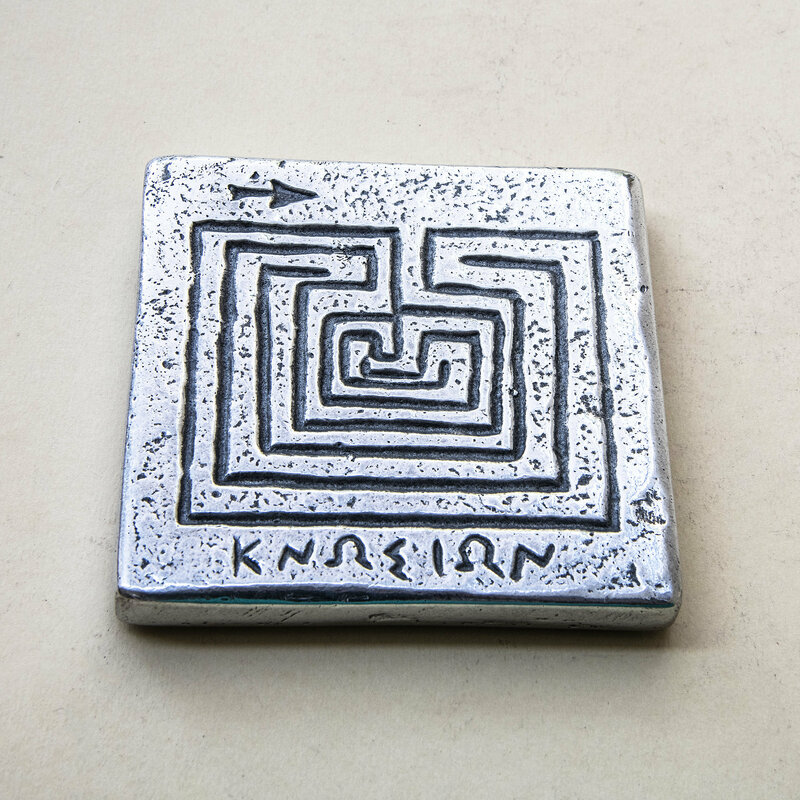 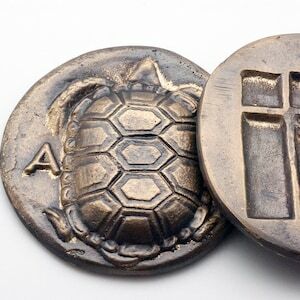 Ancient Greek Cretan coin handcrafted paperweight with labyrinth maze-like Minoan symbol cast in aluminum. 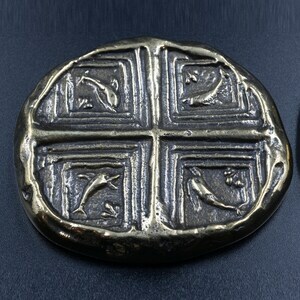 Museum replica inspired by the ancient Knossos silver tetradrachm coin, around 300 BC. 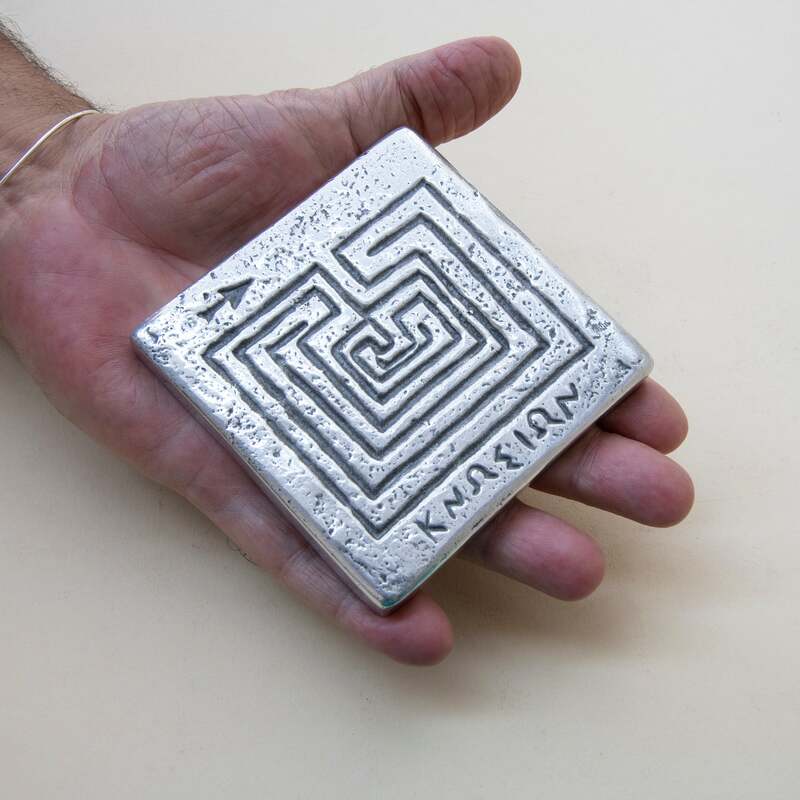 Shows the square labyrinth housing minotaur under the palace at Knossos, Crete. 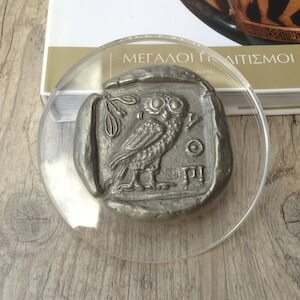 The inscription reads KNOSION in Greek fonts. 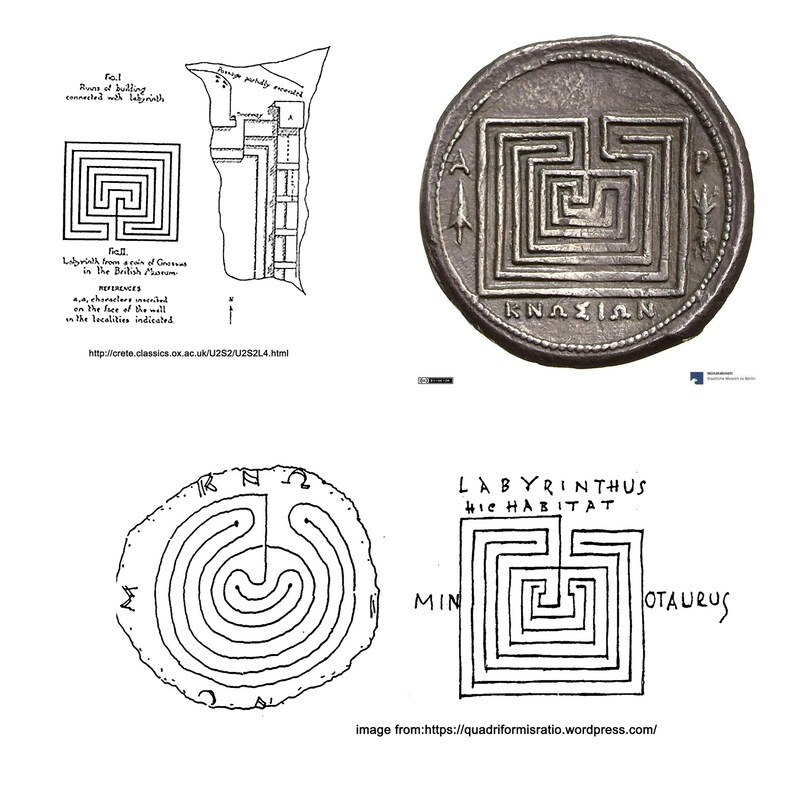 The word labyrinth comes from the Greek labyrinthos and describes any maze-like structure with a single path through it which differentiates it from an actual maze which may have multiple paths intricately linked. 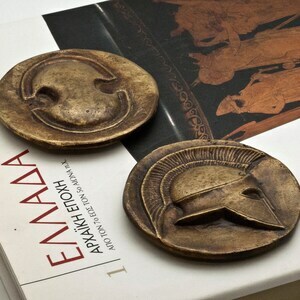 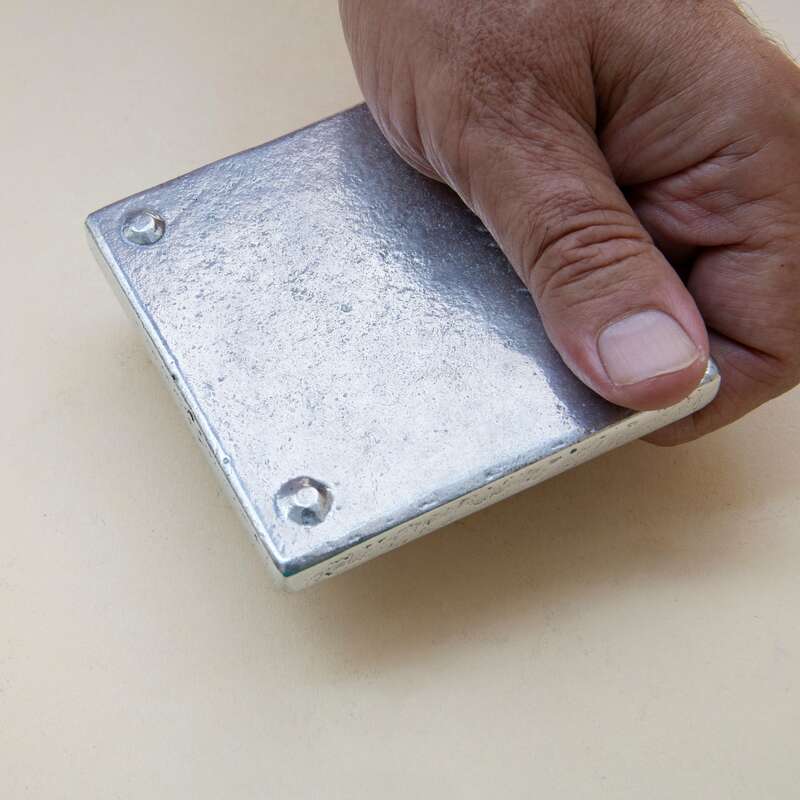 Etymologically the word is linked to the Minoan labrys or 'double ax', the symbol of the Minoan mother goddess of Crete. 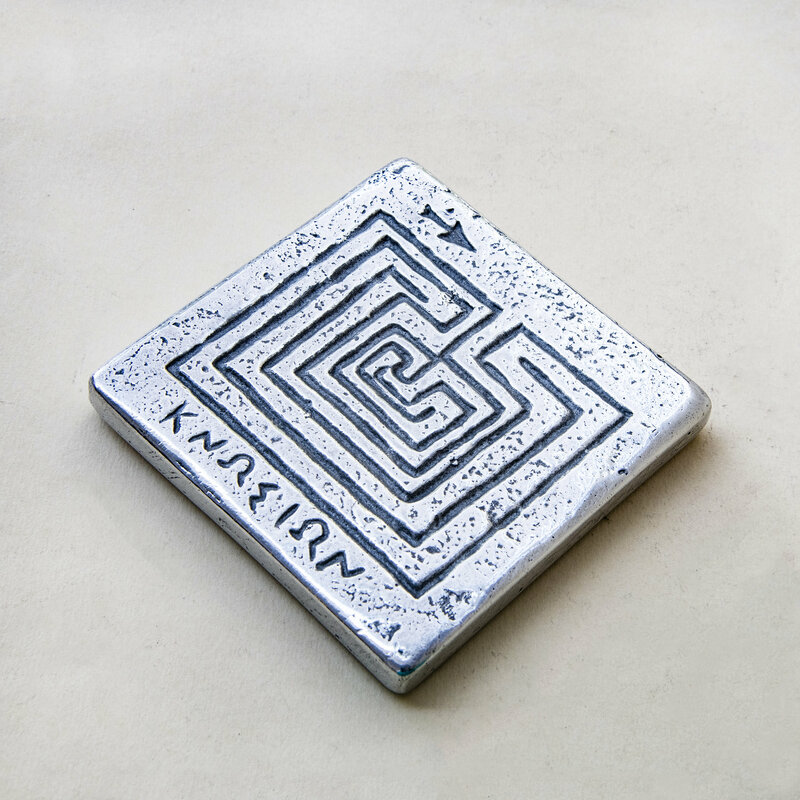 The labyrinth/maze may have served to help one find their spiritual path. 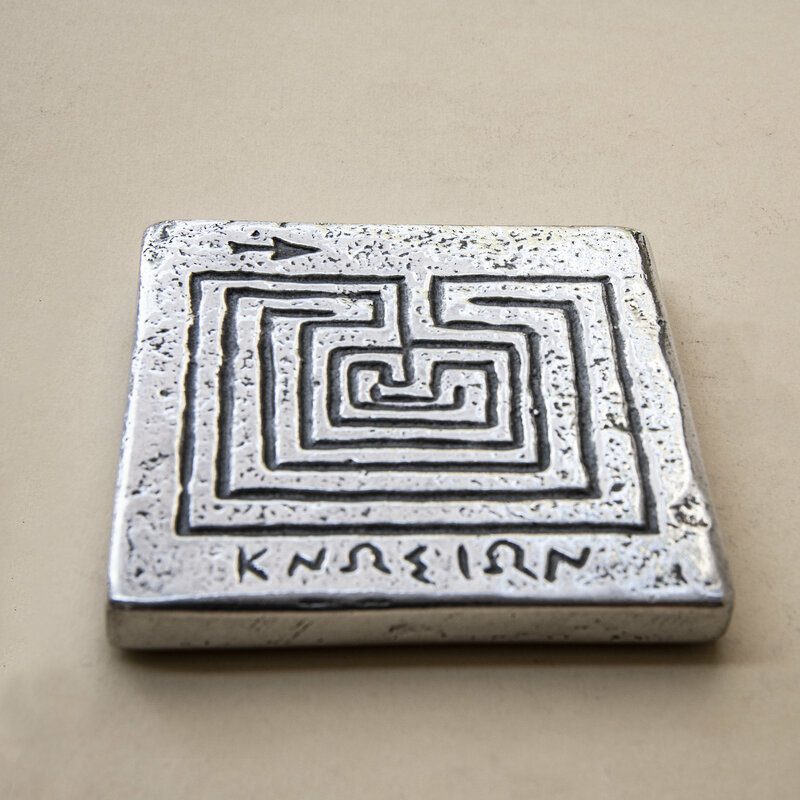 As one traveled through the labyrinth, one would become increasingly lost in reference to the world outside and, possibly, would unexpectedly discover one’s true path in life.